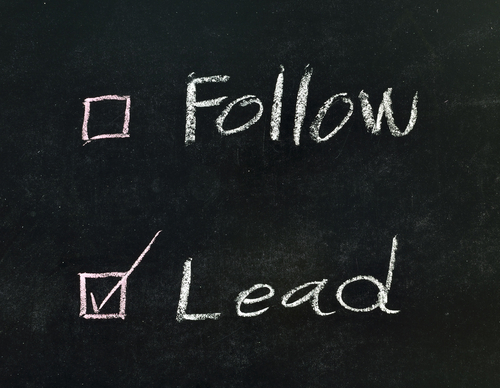 Lead or be Led. It’s TV for leaders! with guest Hugo Amorim, Brand Strategist and Principal of Brand Pendulum. The topic is Branding. on his new book The Science of Marketing. Can’t play the video below? Click HERE. Owen handles the Content Marketing and Customer Support for SweetProcess. He’s responsible for making sure that you enjoy using SweetProcess to create and update procedures for your business. If you are not WOWed, it’s Owen’s fault! Branding is differentiation. Color, words and images will help your personal branding stand out among the rest. The creation of a personal brand is much more than creating a logo on the web for 99 bucks. It requires time and a deep study of what your brand represents. This is the second of a five-part series that will help you create a personal brand as you see Hugo begin to sharpen my personal branding. What is SEO? That is a question asked in board rooms, at family parties, in classrooms and at civic meetings. It is a question asked by executives, managers, teachers and your mother. Search Engine Optimization (SEO) is the term used to describe the best practice steps you can take to end up at the top of search lists like Google or Bing. Why do you and your organization need to know more about SEO? Simple. In today’s world you want to be found on the web. Optimizing your chances to be found through SEO is the only answer. Phil Buckley is the Director of SEO at Virante and organizes the country’s most successful SEO Meetup every month in Raleigh,NC. as well as started the Digital Marketing for Business conference. Jayson Teagle has led his way to the point of directing the annual Chick-fil-A Leadercast broadcast around the world to 120,000 leaders. He begins planning the next Chick-fil-A Leadercast about a week after the previous Leadercast ends. And he is one of the few guys that get to tell Jack Welch where to go. In this episode, branding expert Hugo Amorim of Brandpendulum advises to keep your brand simple while making it scalable, memorable, original and flexible. Phil Harrell is VP Enterprise at HubSpot, a fast growing integrated marketing automation SaaS provider, where he is responsible for leading HubSpot’s entry into the enterprise market. Prior to HubSpot, Harrell was VP Sales at Kaminario, a Sequoia Capital backed start up that revolutionized the storage industry with its enterprise class, all solid state SAN offering. Harrell spent nearly 10 years at Akamai Technologies. Personal Branding can be bold, simple and impact-full. With the use of colors, words and the understanding of who you are and what you represent, you are on your way to creating a personal brand. Hugo Amorim is the Brand Strategist and Principal of Brandpendulum based in the Boston area. Amorim specializes in building brands with mood and meaning that are memorable and impact-full. As the Chief Imagination Officer of sparkspace, Mark oversees the most inspirational business retreat center on the planet. He also writes about creating more amazing workplaces. Topics he explores are service, leadership, teamwork, and personal development. About Our Guest – Peter Tomassi – Chief Community Officer, Evangelist at RedBubble and RedBubble.com. Previously Peter was Senior Vice President of Education Dynamics and Vice President of GoalQuest. Dr. Cloud is an acclaimed leadership expert and best-selling author. He draws on his experience in business, leadership consulting, and his practice as a clinical psychologist, to impart practical and effective advice for improving leadership skills and workplace performance. Brian Halligan is CEO & Co-Founder of HubSpot, a marketing software company he co-founded six years ago to help businesses transform the way they market their products. Hugh MacLeod is a cartoonist, who makes his living mostly drawing “Cube Grenades” for clients and publishing fine art prints via the internet. His first book, “Ignore Everybody” is published by Portfolio, an imprint of Penguin. Also known for his ideas about how “Web 2.0″ affects advertising and marketing, after a decade of working as an advertising copywriter, Hugh started blogging at gapingvoid.com in 2001. He first started off just publishing his cartoons, but as time wore on he started blogging about his other main interest i.e. marketing. In 2004 he wrote “Ignore Everybody” and “The Hughtrain”, which both got widely read in the blogosphere, downloaded over million times in total. In 2005 he scored his first major blog marketing success with EnglishCut.com, a blog he started with Savile Row tailor, Thomas Mahon. It tripled Thomas’ sales within six months. Since mid-2006 Hugh has also been helping a small South African winery, Stormhoek “rise above the clutter” in the wine market by using Web 2.0 tools to get the word out. Sales have gone up fivefold since then, thanks to Hugh’s marketing efforts. Our Guest – Mark Traphagen – Digital Outreach for Virante Inc.
David has achieved success as a serial entrepreneur through pioneering innovations in manufacturing, the food and beverage industry, information technology, and healthcare. He is a published author and contributor in numerous books, peer reviewed journal articles, is a contributing columnist for several organizations, as well as a senior editor for the nation’s leading evidence-based research in the emerging field of integrative medicine. David earned his Master’s degree from The New England School of Acupuncture, his BFA from the actor’s studio program at Wright State University and earned the distinguished Recommendation Award by the Society of American Fight Director for excellence in choreography. David is a frequent contributor and diplomat for The American Institute for Stress. He’s developed a curious mindset and a habit of diagnostic listening that searches for high impact leverage points, all while serving others during his 29 years as a medical provider, adjunct college professor, chairman of the board for regional non-profits, coach and consultant to corporate leaders. His extensive experience in design and delivery of executive education includes university affiliations at Harvard, Tufts and Merrimack College; with industry leaders such as Honda of America, Parker Hannafin and Philips International. David brings a diverse world of experiences in assisting others discover practical solutions through developing their own personal leadership. Get a complete transcript of the show here: Transcript – Dr. Lee Colan – Stick With It. Lee J. Colan, Ph.D. is co-founder of The L Group, Inc., a Dallas, Texas-based consulting firm serving leaders since 1999. He is a high-energy leadership advisor, popular author and engaging speaker. Lee is a triple-threat – a well-educated and trained business consultant, prolific author and engaging presenter of ideas. He possesses an in-depth understanding of business, people and organizations. Lee blends this understanding with his corporate management experience to help leaders and organizations grow. Lee was included in Leadership Excellence magazine’s 2012 list of Best in Leadership Development for independent consultants. John Jantsch is a marketing consultant, award-winning social media publisher and author of two best-selling books, Duct Tape Marketing and The Referral Engine. His blog was chosen as a Forbes favorite for marketing and small business, and his podcast, a top ten marketing show on iTunes, was called a “must listen” by Fast Company magazine. Created by John Jantsch, the Ultimate Marketing System is a complete small business marketing system consisting of 5 modules that include audio, video, workbooks, worksheets and additional materials – the product of over 20 years of working with some of America’s most successful small businesses and independent professionals. John Jantsch also created The Duct Tape Marketing Consulting Network that trains and licenses small business marketing consultants around the world. Our Guest – Mark Traphagen is the Expert on Google+ as proclaimed by popular author and blogger, Chris Brogan. Pamela Slim is a seasoned coach and writer who helps frustrated employees in corporate jobs break out and start their own businesses. Her blog, Escape from Cubicle Nation, is one of the top career and marketing blogs on the web. A former corporate manager and entrepreneur herself for more than a decade, she deeply understands the questions and concerns faced by first-time entrepreneurs. Her expertise in personal and business change was developed through many years consulting inside corporations such as Cisco Systems, Hewlett-Packard and Charles Schwab, where she coached thousands of executives, managers and employees. “Entrepreneurship at its heart is aligning your purpose for being on earth with a business idea so compelling that you simply must do it, despite the fears that hold you back,” says Pam. Her experience teaching martial arts for 10 years to thousands of students including former gang members has helped her clients deal with fear head-on. A world traveler, Pam speaks four languages and has lived and worked in Europe and South America. Pam’s book Escape from Cubicle Nation: From Corporate Prisoner to Thriving Entrepreneur was released in Spring, 2009 and won Best Small Business/Entrepreneur Book of 2009. Pam is frequently quoted as an expert on entrepreneurship in publications such as The New York Times, The Wall Street Journal, BusinessWeek,Forbes, Entrepreneur, Money Magazine and Psychology Today. Pam is married with three kids and lives in Mesa, Arizona. One of Lee’s major and lasting legacies was the creation of Disney Great Leader Strategies which was used to train and develop the 7000 leaders at Walt Disney World. Lee has held various executive positions in the hospitality and entertainment business with Hilton Hotels for 8 years and the Marriott Corporation for 17 years before joining Disney in 1990 to open the Disneyland Paris project. A transcript of the video prepared by CastingWords is available by CLICKING HERE.